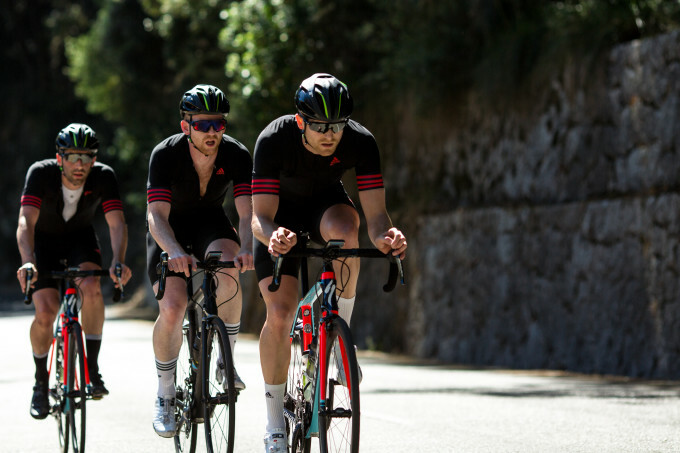 Renowned cycling photographer Angus Sung has captured the ups and downs of members of the 5th Floor cycling collective dominating the hill climbs of Mallorca, on their annual five-day training camp ahead of the summer. 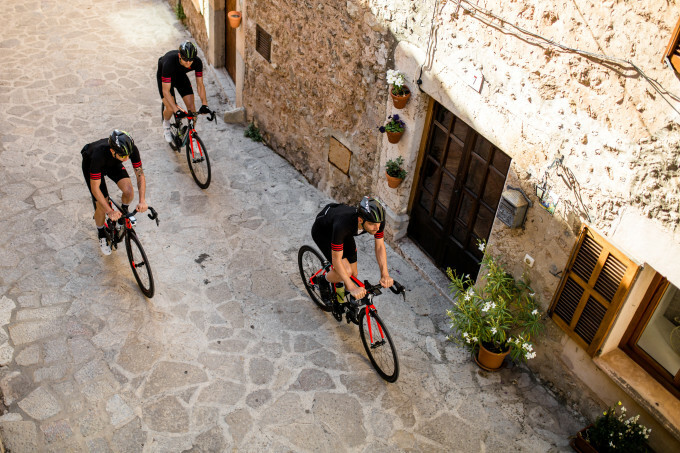 Angus Sung’s photography sees the 5th Floor pushing themselves, over distances of more than 360 km and elevations above 6km, under the warm sun on the Balearic island in one of the world’s most popular cycling destinations. Officially founded in 2010 and named after the roof of the Spitalfields car park where the group first used to assemble to perform tricks on fixies, The 5th Floor now boasts 25 members including a satellite club in New York. In recent years, the team have taken on some of the toughest and most beautiful cycling spots that Europe has to offer, with visits to the Italian Dolomites, Austrian Alps and more. 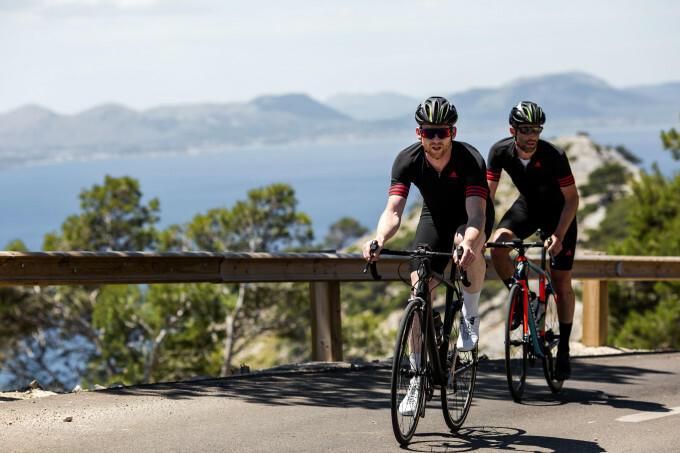 In Mallorca this summer, The 5th Floor riders were road-testing the latest adistar cycling range – sleek, black and engineered for faster speeds. 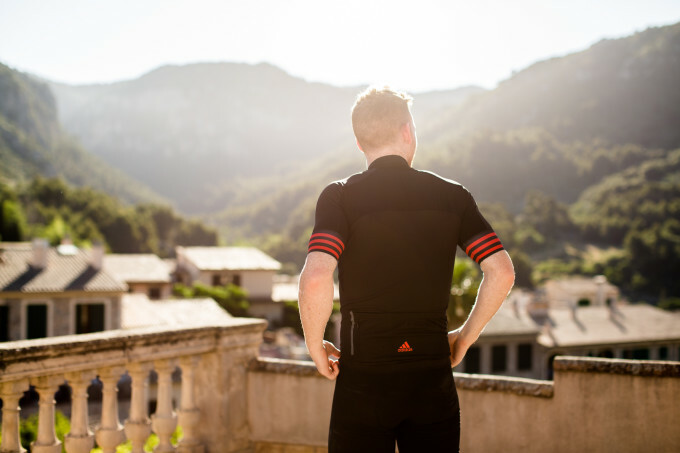 The kit is made from lightweight, muscle-supporting fabrics which are cut for optimal aerodynamic and ergonomic performance. Top amateur and professional riders have tested the range across Europe to ensure minimum wind resistance with features including a covered zip and strategically placed seams. 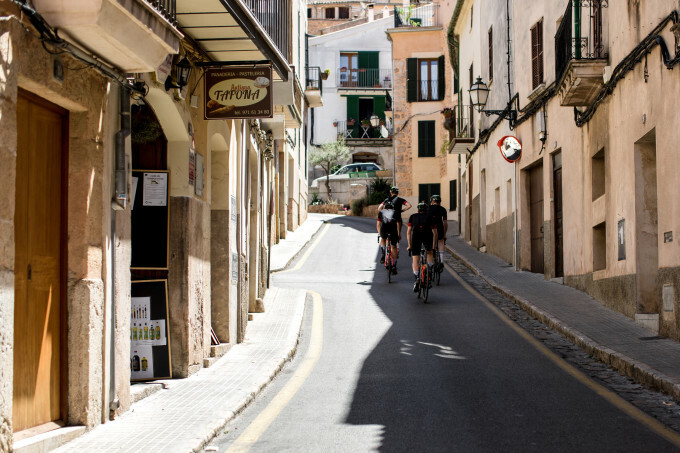 “I&apos;d heard so much about Mallorca so I had high expectations. The whole island is a cyclist&apos;s paradise - coastal views, mountains passes, smooth winding lanes and steep climbs. Sa Calobra, the most famous climb on the island, is a stunning 10km decent winding down to a dead end where you turn around and go straight back up at an average incline of 7%. 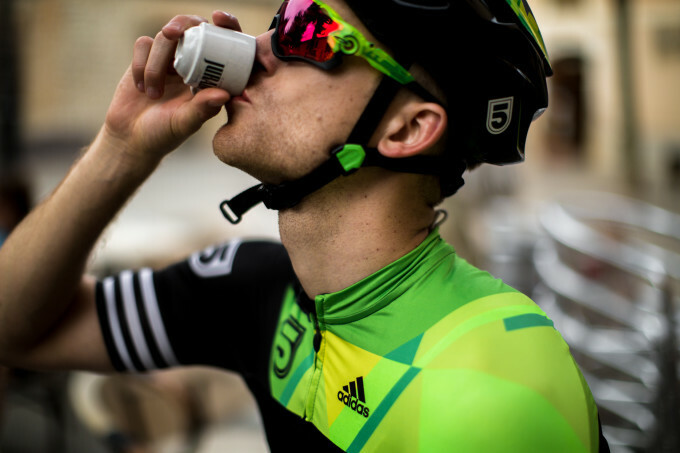 Visit http://www.adidascycling.com and follow @the5thfloor on Instagram for more information.